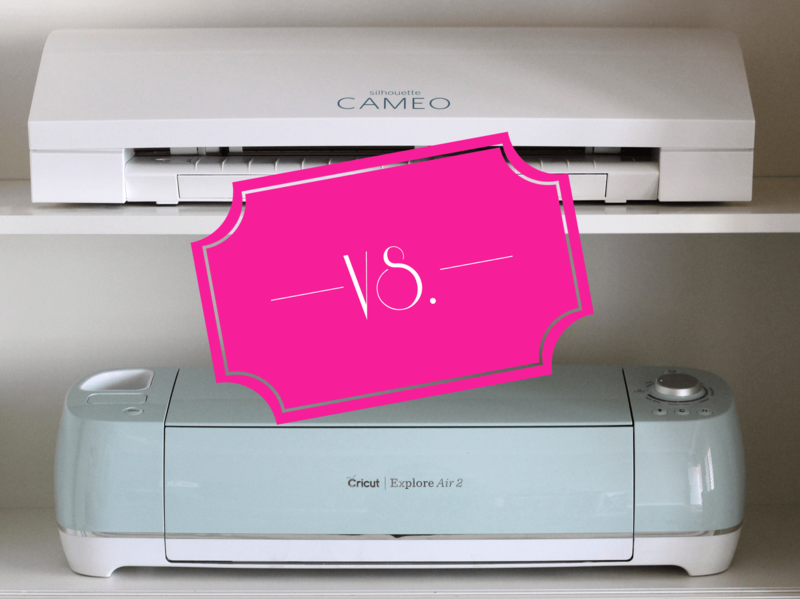 Are you team Cricut or team Silhouette? I’m sure you’ve heard of at least one or both of these cutting machines. These 2 brands are the top electronic cutting machines out right now. The Cricut Explore Air 2 is the latest model that Cricut offers. The Silhouette Cameo 3 is the latest version that Silhouette offers. Both machines are extremely brilliant. The abilities of both machines are great, but I would like to get down and dirty and talk about what the differences are!! A little background about my history with electronic cutting machines. For years I have been familiar with the Cricut machine company. The only machine I used to have was a Cricut Cake!! It was a super fun machine that would allow you to cut gumpaste into amazing shapes that are food safe and can be used on cakes and other food. This machine required cartridges and I have about 9, most of them being the cake edition cartridges. I had so much fun for years creating images and words to add to my cakes. The one downfall that it had was that the cartridges were kinda expensive and you would have to buy a whole cartridge just to get one little image of a car or something. I used the Cricut Cake a few times to convert it into a paper cutting machine.It worked pretty good with the deep cut blade, but at this point it was still like a guessing game trying to place the images on the mat with the keyboard that was on the machine itself! I mainly kept it strictly for cakes and never ventured much into the paper crafting world. Last year I decided I needed to get the new Cricut Explore Air 2. My friend had gotten one and I had seen all the fun things she was able to create right at home! I got my machine in the super cute mint green color, since that’s my favorite color how could I resist!! When I set up the machine it was very straight forward. I followed all the set up instructions and was able to make simple cuts right away! 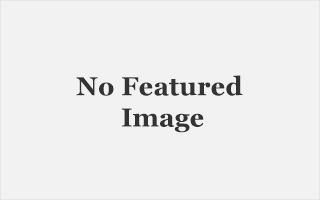 The software was extremely easy to use and easy to navigate. I already loved my machine right away. 6 months after having my Cricut Explore Air 2 Machine, I started talking with some other friends, I found out that they loved the Silhouette machine! I didn’t know much about this machine but they were raving about it! They loved the software and all the new features it had. 1 friend had been a former Cricut machine user and the other has only been straight silhouette. I wanted to have the best machine there was so I needed to see for myself the differences of the two! Both machines look very nice on the shelf. After much inspection I have found the the Cricut wins the first battle. Why? Lets go over a few of the details! 1.The first thing I love about the Cricut Explore Air 2 is that the machine will close up tightly and secure. I feel like you would be able to transport this machine with ease and not worry about it falling open and breaking something inside. The Silhouette Cameo 3 looks closed but there is not a latch to hold it closed. It’s just a lid that opens and closes. 2.Both machines have onboard tool storage which is very nice. Cricut was the first to add this feature to their machine. I like Cricut’s a little better because the storage areas are larger and will hold several tools, blades, & housing units. I also like the additional storage cup on the top of the machine for frequently used tools and pens. The Silhouette Storage tray reminded me of a printer tray that you pull out. Storage areas are small and it has very flimsy paper guides that fold out. 3. Both Machines have double tool holders. This means you have one tool holder for the blade and one tool holder for pens or the scoring tool. You can cut and write or score all at one time with out having to unload the mat. 4. Machine overall size. The Cricut machine is much smaller in size which is so nice for saving space on the crafting table! Both machine cut the exact same maximum width of 12″. The Cricut machine wins this battle for being compact. Even when the machines are both completely open you can see that the Silhouette requires much more clearance it’s tall and wide. 5. I love that the Cricut Explore Air 2 comes in so many fun colors. I was able to get my favorite color that would match my craft room decor!! Silhouette is only offered in white. 6. The Silhouette has a touch screen on it which can give you tutorials on inserting blades and mats right there on the machine. The Cricut explore air has a smart dial, no guess work with machine its all done for you just choose the materials being used and the machine will auto set for that material. Custom material can be chosen through Design space. After using both mats that with each machine, I have found that the Cricut Mats win by far. They are strong and sturdy and come in 3 different strengths. Light, medium, and strong. The Silhouette mats were very flimsy and only came with a light sticking mat which makes it harder to cut heaver materials. One very cool thing that I do like about the Silhouette is that you can cut vinyl without a mat up to 10 feet!! !How cool it that?!! If you can have a very large project or if you wanted to cut tons of the same image you could do so without having to keep loading and uploading the mats! Circut has a larger variety of tools to choose from. They have a very basic tool set that would be equivalent to the Silhouette tool set which is the only tool set they offered. Cricut also offers the Ultimate Tool set that I love which includes all the necessities you will need including a paper cutter. I have been reading up a lot about this. I have tried several different materials in both machines and every time I feel like the Cricut came out with a better result. I found that the Cricut has a deeper cut capability which allows you to cut thicker products with the Cricut vs the Silhouette. In a head to head study that was done Cricut Rated 90% better then Silhouette on ability and preciseness to cut several different materials. Ok let’s get to the down and dirty part! The software differences. I am going to start off by saying both companies have great software but very different learning curves. I would compare the Silhouette software to Photoshop. The Silhouette software is very high tech! you can create and customize any image and make it your own. 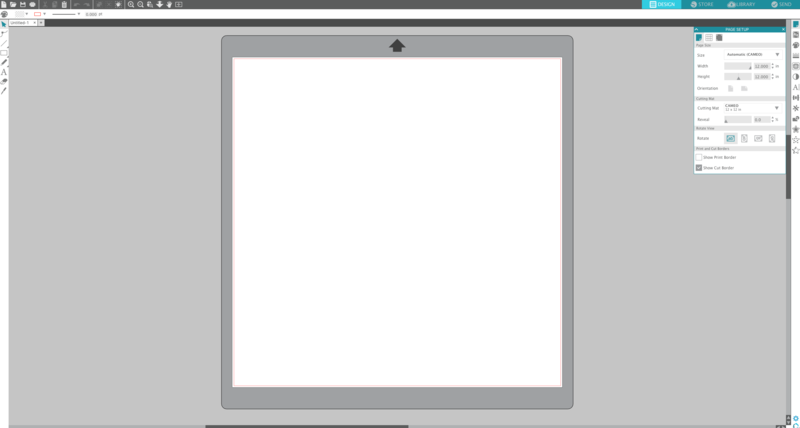 It has tool bars and layer panels that move around and work just as photoshop does in my opinion. I felt like as a beginner that I was lost. I didn’t have the background knowledge to just get started with this software. It was a little more intense and less user friendly. For example to add and image I didn’t see anything that said add image. I had to ask a friend that told me to go to the library choose my image and then double click to add it to my design space! I never would have figured out the double click if I didn’t have some direction. I feel like right out of the box it took much more time getting started with the Silhouette then with the Cricut. One main reason is that the Silhouette is an application that runs on your computer, so there is some time that is involved downloading and setting up this application. This software does take up space on your computer hard drive. The Silhouette software does not require WIFI. Since it is an application, no internet is required to use this machine. This machine may be the best choice for you if you happen to be in a rural area that does not have internet capabilities at all times. Cricut Software called Design space is extremely user friendly. Design Space is an internet based software that you will log into your account and everything is stored online and not taking up space on your computer. With that you will experience some slowing due to the internet connection sometimes. When i first started with the Circut I was able to get right to cutting in minutes after the set up. The Design Space is very easy to navigate and there are clear instructions as you go. Its easy to see the add image, shapes, text ect. its all visually there without having to hover over the icons like in the Silhouette Design Software. There is so many tips and tricks in each program and I definitely don’t know everything there is to know, but I would personally rate Cricut as #1 for being very user friendly and having easier to use software. Here is a look at each of the Design Screens. This is the Silhouette screen. Many tool and icons. Requires hovering over each one to see what they mean. Here is the Cricut Software. As you can see the icons are labeled clearly so you can easily see what it is. I don’t know about you, but craft time for me is at nap time or after the kids are in bed for the night!! I am a stay at home mamma and my 3 little boys keep me very busy during the day! Noise level was very important to me! I really didn’t want to be waking the kids up while I was crafting! I had been using the Cricut Explore Air 2 and there was some noise, not bad but I prefer to still shut the door while the machine is cutting just in case. All in all it is fairly quiet. The Silhouette I about had a heart attack when it started!! It was loud! It was doing all this clicking, Like testing or something? Luckily no one woke up, but I shut it off right away and felt stressed it was going to! When it got going it kinda sounded like a space ship lol. So yet again, I will give this round to Cricut for being the quieter of the 2 machines. The Cricut Explore Air 2 and the Silhouette Cameo 3 do have a few of the same qualities in many areas. Both comapnies have tried thier best to stay up on technology as best they can and are always making adjustments to software and machines. here is a list of the similarities that both machines possess. 1. They both have bluetooth, wireless connection capabilities. 2. They both have a double tool holder. 3.They both offer the print and cut feature. 4. they both have on board tool storage. 5. They both have some sort of capability to work through a cloud allowing you to work on other devices like ipads or laptops. 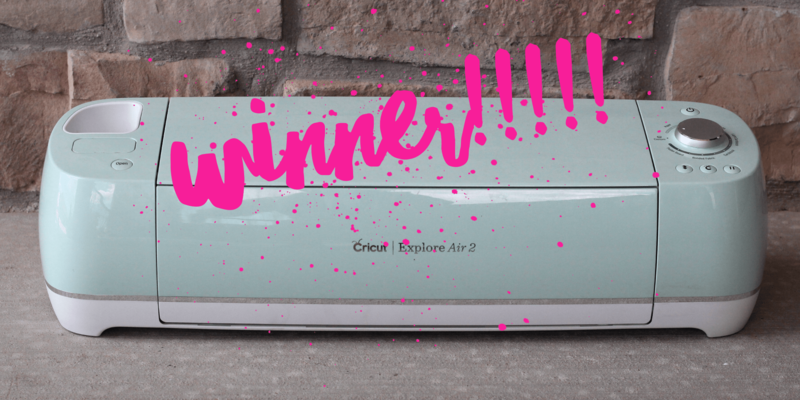 Overall, I am going to have to give it to the Cricut Explore Air 2 for the win!!! I personally preferred to use the Cricut for most things. The software was much easier to use, The machine was quieter, I personally liked the esthetics of the Cricut and loved the mint green color. I like that I have a wider range of products to cut and that I will have a more precise cuts with the Cricut. I am hoping that in the future as Cricut upgrades and improves software, that they will also add some customizing tools like the Silhouette. I Like the materials and mats that Cricut offers much better then Silhouette. This is my personal opinion when I tried out both machines. If you are struggling between which machine to get, I hope that I was able to give you some insight on what my opinion and experiences have been while using both! Please feel free to leave any comments and questions you may have about either machine. I would love to help you out!! Thanks so much for visiting! Previous ArticleWILL YOU USE THE CRICUT ENOUGH TO JUSTIFY THE PRICE?